Checking the skin regularly for any signs of the disease increases the chance of finding melanoma early. A monthly skin self-exam is very important for people who have any of the known risk factors, but doing skin self-exams routinely is a good idea for everyone. After a bath or shower, stand in front of a full-length mirror in a well-lighted room. Use a hand-held mirror to look at hard-to-see areas. Begin with the face and scalp and work downward, checking the head, neck, shoulders, back, chest, and so on. Be sure to check the front, back, and sides of the arms and legs. Also, check the groin, the palms, the fingernails, and the soles of the feet, the toenails, and the area between the toes. Be sure to check the hard-to-see areas of the body, such as the scalp and neck. A friend or relative may be able to help inspect these areas. Use a comb or a blow dryer to help move hair so you can see the scalp and neck better. Be aware of where your moles are and how they look. By checking your skin regularly, you will become familiar with what your moles look like. Look for any signs of change, particularly a new black mole or a change in outline, shape, size, color (especially a new black area), or feel of an existing mole. Also, note any new, unusual, or “ugly-looking” moles. If your doctor has taken photos of your skin, compare these pictures with the way your skin looks on self-examination. Check moles carefully during times of hormone changes, such as adolescence, pregnancy, and menopause. As hormone levels change, moles may change. It may be helpful to record the dates of your skin exams and to write notes about the way your skin looks. If you find anything unusual, see your doctor right away. Remember, the earlier a melanoma is found, the better the chance for a cure. In addition to doing routine skin self-exams, people should have their skin checked regularly by a doctor or nurse specialist. A doctor can do a skin exam during visits for regular checkups. People who think they have dysplastic nevi should point them out to the doctor. It is also important to tell the doctor about any new, changing, or “ugly-looking” moles. Sometimes it is necessary to see a specialist. A dermatologist (skin doctor) is likely to have the most training in diseases of the skin. Some plastic surgeons, general surgeons, oncologist, internists, and family doctors also have a special interest and training in moles and melanoma. Melanoma may run in families, and members of these families are at high risk for the disease. In some of these families, certain members also have a large number (usually over 100) of dysplastic nevi. These people have an especially high risk of developing melanoma. When two or more family members develop melanoma, it is important for all of the patients’ close relatives (parents, brothers, sisters, and children above the age of 10) to see a doctor and be examined carefully for dysplastic nevi or any signs of melanoma. The doctor can then decide how often each person needs to be seen. (Doctors may recommend that these family members have checkups every 6 months.) Anyone who has a large number of dysplastic nevi also should be examined regularly. A doctor may want to watch a slightly abnormal mole closely to see whether it changes over time. Pictures taken at one visit may be compared with the appearance of the mole at the next visit. Sometimes a doctor decides that a mole should be removed so that the tissue can be examined under a microscope. The removal of a mole, called a biopsy, is usually done in the doctor’s office using a local anesthetic. It generally takes only a few minutes. The patient may require stitches, and a small scar will remain after healing. A pathologist examines the tissue under a microscope to see whether the melanocytes are normal, dysplastic, or cancerous. Because most moles, including most dysplastic nevi, do not develop into melanoma, removing all of them is not necessary. A doctor can recommend when and when not to remove moles. Usually, only moles that look like melanoma, those that change, or those that are both new and look abnormal need to be removed. We recommend that you protect you skin with SPF every day and our favorite product is PCA’s Hydrator Plus with SPF 30 available at Spa 10 Encino and Palm Desert location. Acne – Acne is the most common skin condition, affecting nearly 45 million Americans each year. Acne develops where there are more oil glands present, e.g. face, scalp, chest, back and neck. There are many different types of acne and each patient should be treated according to their particular case. Spa 10 has specific treatments and products that can help calm, heal and clear the skin. Aging – Aging of the skin is a result of many different factors that can be broken into two categories: intrinsic and extrinsic. Intrinsic or uncontrollable aging is chronological and genetic. Facial wrinkling, expression lines and drier, more sensitive skin may be a result of intrinsic aging. The extrinsic or more controllable factors of aging refer to exposure to the sun and/or pollutants which cause a breakdown of the skin’s structure, leading to discoloration, wrinkles, skin growths and even cancer. Many skin scientists believe the extrinsic factors are to blame for 90% of the visible signs of aging. 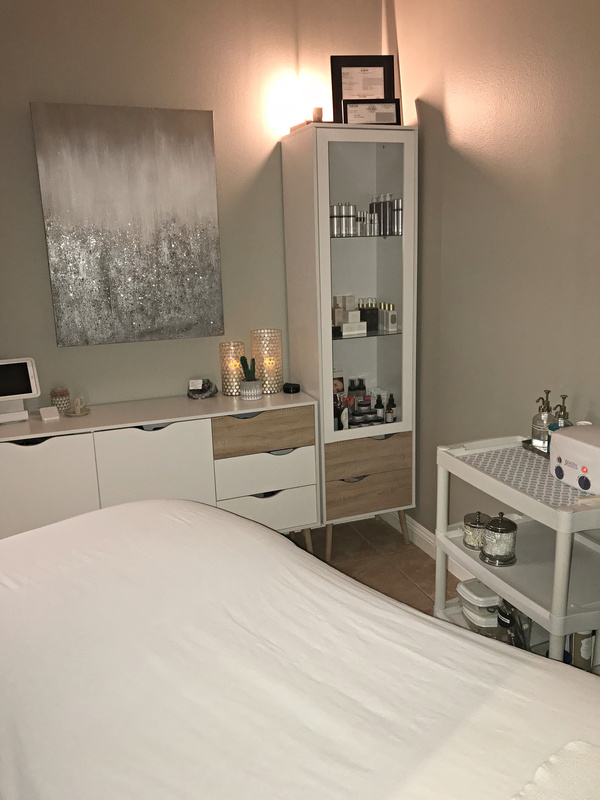 At Spa 10 when we attempt to correct signs of aging, we believe it is important to use products that not only treat, but also prevent future damage from occurring. Hyperpigmentation (skin discoloration) – Hyperpigmentation is the darkening of an area of skin. Causes of hyperpigmentation range from sun damage caused by UV exposure, hormone fluctuations due to pregnancy or menopause, and skin injuries such as acne scarring. Certain skin types can also be more susceptible to hyperpigmentation. It is important to consult with a skin care professional prior to using products to even skin discoloration as high percentages of strong ingredients can cause further irritation and lead to more discoloration. The best way to prevent hyperpigmentation from occurring or worsening is to use SPF daily. Rosacea – Rosacea is a somewhat misunderstood skin condition. Currently, there is no known cure or cause. Rosacea is generally characterized by persistent redness and/or breakouts on the central areas of the face, commonly affecting the nose, cheeks, forehead and chin. Although there is no cure, there are many different methods of controlling rosacea symptoms. 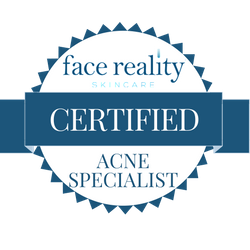 There are medical therapies that work well in conjunction with cosmeceuticals and professional treatments to control rosacea symptoms. Many people also have reported Rosacea outbreaks after eating chocolate, lobster, prawns, artificial sweeteners, preservatives, food colorings and MSG. Aspartame and Nutra Sweet as a sugar replacement causes noticeable flushing in 30% of rosaceans (replace these sweeteners with stevia and you may see an improvement in skin irritations). Spa 10 carries a full line of PCA products to help improve all the skin conditions listed above.